The fifth Prime Minister of India, Shri Morarji Desai was the first Indian Prime Minister who resigned from the post of PM without completing the entire term. In this short biography we are going to learn about the life of this great leader who was a great patriot and participated in India’s freedom struggle. He is the only Indian who earned the highest civilian award of Pakistan known as the Nishan-E-Pakistan. The reason why he was given this award was his unrelenting efforts to bring peace between the two rival nations. Before we take a dip into Morarji Desai’s life and career, let us take a quick look at some of the facts in a tabular format. Morarji Desai was the first Indian Prime Minister who was not from INC or Indian National Congress. Morarji Desai practiced urine therapy. He was a staunch believer that urine drinking is a perfect solution for various diseases. No wonder, he was ridiculed both inside and outside India. By birth Morarji Desai belonged to Anavil Brahmin family. The family held orthodox views. Desai was born in a place called Valsad, which was in Bhadeli of Bombay Presidency. His date of birth was February 29, 1896. Desai’s father was a teacher by profession – a very honest teacher. Since childhood, Desai’s father embedded the seeds of hard work, honesty and truth in Desai’s mind. Desai went to Saurashtra The Kundla School. However, he later moved to another school known as Bai Ava Bai High School, which was located in Valsad. Once he completed his schooling, he opted for graduation and completed the same from Mumbai’s Wislon College. 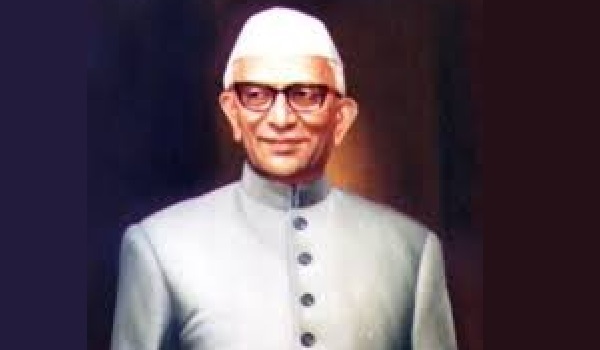 After completing graduation, Morarji Desai was employed in Gujarat’s civil services. However, Godhra in Gujarat was plagued by riots in years 1927 and 1928. It was accused that Desai took a soft stance on Hindus because he himself was a Hindu. After this allegation, Desai resigned from his post of deputy collector in year 1930. After quitting his job, Morarji Desai decided to join Civil Disobedience Movement under the leadership of Mahatma Gandhi. He they stayed actively connected with India’s freedom struggle. This brought him at the cross hairs of Imperial British rulers. The end result was that Desai spent several years in various jails. He was blessed with leadership skills and nurtured a patriotic spirit. No doubt, he soon became one of the most favorite figures among the then freedom fighter. Soon, Indian National Congress elected Desai as an important leader in Gujarat. Desai was elected as Bombay Presidency’s Revenue, Cooperatives, Forest and Agriculture Minister in provincial elections held in 1934 and 1937. It was a clear victory for Desai and he too gladly accepted the role he was bestowed with. However, his term as Home and Revenue Minister didn’t last long. In 1939 Congress rolled up its sleeves, revolting against India’s involvement in World War II. The British had deliberately dragged India into war. Because of this revolt, many congress ministers decided to quit office and that ended the term for Morarji Desai as well. Before becoming Chief Minister of the state, he introduced some land reforms which were revolutionary by nature. He also clubbed the police and public together, making police responsible for safety and security of general public (both for their life and property). As a Chief Minister, Morarji Desai quickly earned the reputation of being a very strict administrator. It was during his rule as Chief Minister that Bombay saw the conflict between the two majority linguistic groups of Bombay. At that time, Bombay had vast populations of Gujarati-speaking and Marathi-speaking people. These two linguistic groups started demanding separate states for themselves. Desai being a staunch nationalist was very much against the idea of breaking up a state because of linguistic differences. Since Desai was not ready to accept, the Marathi-speaking people who belonged to Bombay’s Samyukta Maharashtra Samiti started demonstrating. Relinquishing his Gandhian philosophy of nonviolence, Desai ordered police firing that claimed the lives of 105 people, including a girl of only 11 years of age. After this event, the Federal Government was forced into breaking after Bombay state in Maharashtra and Gujarat. Bombay now became the capital city of Maharashtra. After Bombay was divided and Maharashtra and Gujarat were formed, Morarji Desai went to Delhi where he became Home Minister in cabinet of Prime Minister Jawaharlal Nehru. Nehru held socialist views and on the other hand Desai was a proponent of free-enterprise and was also a pro-business person. This was where problems were created between Nehru and Desai. Desai quickly earned the image of a fierce nationalist and he had this inclination of being anti-corrupt. This intensified the problems between the two. As Nehru was not keeping well, people looked at Desai as the next PM. Unfortunately, even after Nehru died in 1964, Desai couldn’t become PM because he was defeated by Lal Bahadur Shastri, who was a supporter of Nehru’s socialist views. Lal Bahadur Shastri did become Prime Minister of India but could not stay there for long because of an untimely death in 1966. With Shastri’s death, Desai was again at the brink of becoming India’s Prime Minister. Kicked by bad luck, Desai lost to Indira Gandhi by marginal votes and lost the post of PM. With Indira Gandhi becoming PM, Morarji Desai received the post of Deputy PM. He was also the Minister of Finance. In 1969 however, Indira Gandhi took over Finance Ministry from Desai. The same year, Indira Gandhi decided to nationalize 14 biggest banks operational in India. Desai was totally against this and immediately resigned. That is when Morarji Desai joined a faction of INC known as the Indian National Congress – Organization. At the same time, Indira Gandhi formed another faction which was named as Indian National Congress (Ruling). Desai’s faction became popular as syndicate while Indira Gandhi’s faction became popular as indicate. In 1971, after indicate won Indian Parliament elections, Desai was selected as Lok Sabha member. In 1975, corruption and electoral fraud charges came against Indira Gandhi. Emergency rule was declared for 1975-1977 period. During this time, Desai and all opponents of Indira Gandhi government were arrested and jailed. In 1977, Jayaprakash Narayan spearheaded the anti-corruption movement and a wave of anti-Emergency rolled out. In Northern India, Congress was completely routed. Then during the National Elections, Congress met an embarrassing defeat at the hands of Janata Alliance, which later took the name Janata Party. Janata Alliance decided to make Morarji Desai as their parliamentary leader and he became India’s 5th Prime Minister. He became first Indian Prime Minister who was not from Congress. He was the 5th Prime Minister of Independent India. After taking the post of Prime Minister, Desai immediately worked towards improving relationships with arch rival Pakistan and even China. Desai’s talks with China were the first bilateral talks between India and China after the 1962’s Sino-Indian war. During Indira Gandhi’s emergency rule, constitutional amendments were made. Desai and his cabinet undid those changes and ensured that declaring a national emergency became very difficult for any ruling party in future. Research and Analysis Wing or RAW (also known as R&AW) didn’t have a good image in eyes of Desai. Desai described RAW as Indira Gandhi’s Praetorian Guard. Once Desai came to power as PM, he immediately cut the budget of RAW and imposed limitations on its actions. Much of the agency was actually closed. RAW’s Counter-Terrorism Division’s the then Head – B. Raman revealed that once Desai actually told General Zia ul-Haq – the Chief Martial Law Administrator of Pakistan that India is very well aware of nuclear developments taking place in Pakistan. This statement eventually led Zia ul-Haq to remove spies spread across the country’s nuclear research facilities. The end result was that Pakistan became a nuclear state. Though it was the first time a non-Congress party came to power, the problem with Janata Alliance was that it was plagued by internal conflicts to such an extent that two leading leaders Charan Singh and Raj Narain withdrew their support in year 1979. As a result of this, Morarji Desai was forced to resign from his post before his term could end. This made him the first Prime Minister of India to have resigned without completing the full term. In 1980 however, he did campaign for Janata Party but only as a senior party member. He did not decide to run for the elections. In 1995 he died when he was in Mumbai. He was 99 years of age when he died.